Dario Argento’s “Suspiria” is his most successful and iconic film. Not only in its critical reception and box office receipts but it is frequently looked upon as one of the most defining and influential horror films of all time with its dynamic usage of colors and crazy expressive set pieces. It is a film that you probably find many people refer to as an “untouchable” masterpiece. Some might disagree with that though, and Luca Guadagnino is one of them. The popular Italian auteur has chosen to follow up his 2017 coming of age awards darling “Call Me By Your Name” with a remake of Argento’s classic. The thing is it might not be fair to call this a remake but rather a reframing of key elements from the original. Guadagnino himself said in an interview with The Guardian that this is “an homage to the incredible, powerful emotions I felt when I saw [the original].” And after seeing, the film that is a very unsurprising thing to hear because Guadagnino’s “Suspiria” is a film built off of powerful unsettling emotions and compelling imagery. To be frank, I don’t think I’ve ever been more glad someone has remade something like this. This film follows the same general premise of the original film. We follow an American dance student named Suzie (a tremendously dark turn for Dakota Johnson) as a newcomer at a prestige German dance school (whereas the first film takes place in Freiburg, this film has the action set in 1977 Berlin with the school set right across the street from the Berlin Wall) that may or may not be run by a sadistic coven of witches, lead by the elusive Madame Blanc (played brilliantly by Tilda Swinton, who also plays two other characters underneath layers of makeup). Dakota Johnson leading the impressive cast of “Suspirira” in one of the many epic dance sequences in the film. It’s a truly great premise for a film and we’re lucky enough to now have two films that utilize it in very different one-of-a-kind ways. Stylistically, Guadagnino goes in the exact opposite direction as Argento. The aesthetic is grounded, there are no stylized colors, it’s muted with a soft 35mm grain. Guadagnino also trades the psychedelic score of the original for a serene and unsettling composition from Radiohead frontman Thom Yorke. Guadagnino emulates a lot of qualities from the New German Cinema movement. The film uses the uneasy political climate of Germany in the ‘70s as a striking backdrop mixed with an air of intense generational guilt from World War II and the lingering threat of history repeating itself. It’s a very distinct thematic detail that is made even more fascinating by how Guadagnino blends it with his themes of motherhood, femininity, and communities built and preserved solely by women. The film isn’t just thematically rich but is filled with so many breathtaking stylistic flourishes. One of the biggest gripes I’ve always had with Argento’s original film is the lack of physicality in its narrative and horror for a film centered on dancing. Guadagnino not only brings the physicality but he capitalizes on it. There are so many dance sequences that are so meticulously choreographed and edited to elicit a truly visceral experience. Without spoilers, the grand climactic dance number of the film is one of the most terrifying and alluring sequences ever put to film. They move with the pace of agile demon. It is sequences like that that make “Suspiria” a sort of revelation for modern horror cinema. Today, in the Blumhouse Production-era we praise shoestring horror films for being quiet and minimalist. But with “Suspiria” we have a horror film that is a genuine extravagant spectacle with aggressive and gruesome imagery and scares built purely from tone, emotion, atmosphere, and bombastic cinematic tricks. I love horror and I love outlandish go-for-broke filmmaking and Luca Guadagnino’s “Suspiria” is a perfect marriage of those. Top-to-bottom it reminds me of what I actively look for in films in any given year. A hyper-violent feminist piece of arthouse horror that puts you under its spell and doesn’t let go for its entire 152-minute runtime. Even though they are very different, much like the original, this is a stone cold masterpiece that will be reflected upon and admired for centuries to come. 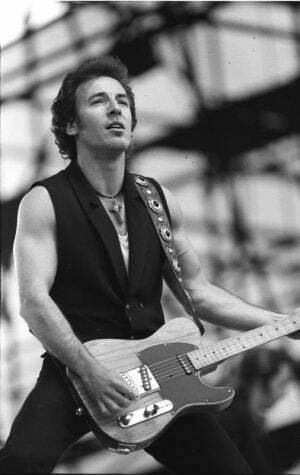 Bruce Springsteen has been selling out massive stadiums for decades. So when he announced in 2017 that his next tour would consist of five shows a week at a venue that seats less than 1,000, it was big news. Springsteen’s run on Broadway at the Walter Kerr Theatre, originally only scheduled for one month, ended up running over a year- 236 shows. Unsurprisingly, tickets to these performances were next to impossible to obtain. Dates sold out immediately, and tickets would pop up on Stubhub costing thousands of dollars. But now, thanks to the Boss and Netflix, anyone in the world can experience the most intimate show he’s ever done. This past December, Springsteen released a live album of the show, available in both digital and physical formats. Two days later, hours after his last performance, a filmed version of the show went up on Netflix. Filmed over two nights in July 2018, this special serves as one of the most defining pieces of Springsteen’s catalogue. 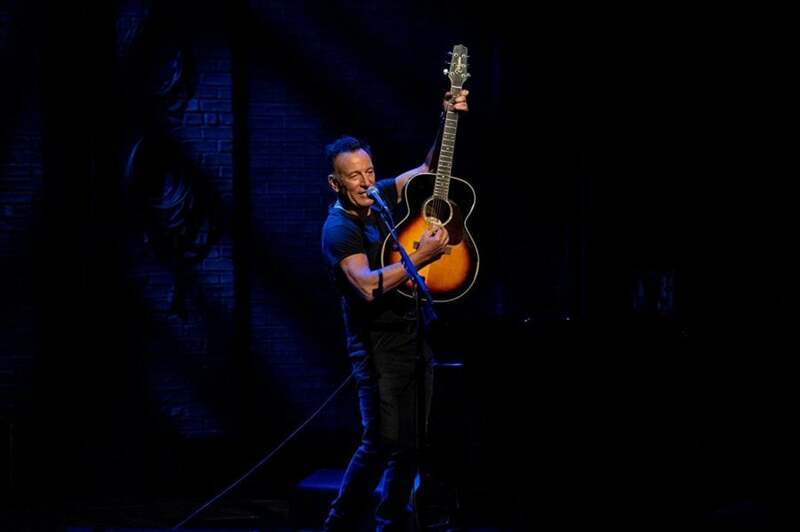 The show itself acts as an extension of his 2016 autobiography “Born To Run.” Springsteen plays songs acoustically that span his whole discography, either on guitar or piano, and he pairs them with a monologue. The audience walks through not just his career, but his own personal life. They travel down his childhood streets of New Jersey, learn of the Springsteen family tree and hear the man himself unpack the hopes, dreams and fears that make up some of pop culture’s most iconic songs. With this context out in the open, the songs transform. “My Father’s House” peers into the tumultuous relationship he had with his father, a man Springsteen calls his “hero and [his] greatest foe.” With “The Wish,” he declares his love for his mother, who taught him compassion and gave him the money to buy his first guitar. He examines his own marriage, bringing out his wife and bandmate Patti Scialfa to sing “Tougher Than the Rest” and “Brilliant Disguise” together. He even reveals some surprising truths behind his public persona, such as the fact that he has never worked a full-time job and didn’t earn his driver’s license until age 24. In this bare-bones form, even the rock radio staples sound different. On “Tenth Avenue Freeze-Out,” the tall tale of the E Street Band’s beginnings, Springsteen remembers Clarence Clemons, his larger-than-life saxophonist and sidekick who died in 2011. “Born In the U.S.A.” mutates from the synth-heavy singalong into a harrowing critique of war. And while introducing “Thunder Road,” a poetic song about getting out, Springsteen recalls a simple image – his band leaving New Jersey for the first time to tour the country, and the view of the summer night sky as he lay in the back of the truck, dreaming of the heaven that’s waiting down the tracks. In the decades since Elvis appeared on The Ed Sullivan Show and changed the world, the pool of classic rock legends has been gradually shrinking. Some, like Paul Simon and Elton John, have retired from touring. Others, like David Bowie and Tom Petty, have passed on to the next life. But within that shrinking pool, Bruce Springsteen still stands tall. At 69 years old, he is still finding new and exciting ways to make his stories heard. Now, with his run on Broadway, he’s cemented as one of the defining artists of our times. The highway’s jammed with broken heroes on a last chance power drive / Everybody’s out on the run tonight, but there’s no place left to hide / Together Wendy, we can live with the sadness / I’ll love you with all the madness in my soul / Someday girl, I don’t know when / We’re gonna get to that place where we really wanna go / And we’ll walk in the sun / But ‘till then, tramps like us, / Baby we were born to run. Just like the Our Father he recites before starting the song, this is his final prayer. That one day, he, and all the rest of us, can escape those restraints that hold us down and find the freedom we’re all chasing. Bruce hopes he gets there. He hopes we all do, too.